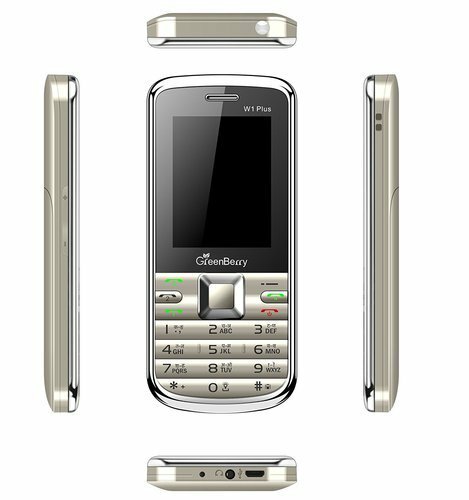 Quad (Four) SIM (GSM+GSM+GSM+GSM) | FM Radio | LED Torch | RAM: <128 MB | ROM: <128 MB | Expendable Memory: upto 16GB (microSD Card). ✔ Battery Capacity: Li-ion 4000 mAh | Camera: 2 MP | Size: 126 x 55.8 x 13.1 mm | Product Weight: 130 gram. ✔ Package Include: GreenBerry's W1 Plus | Power Charger | 3.5 mm Audio-Jack Earphone. FON India is wholesaling, trading and retailing a huge compilation of Mobile Phones, Mobile Cover etc. Manufactured making use of supreme in class material and tools at our vendor’s end; these are in conformism with the norms defined by the market.